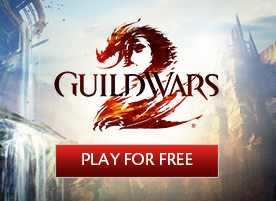 Guild Wars 2>News>Super Adventure Festival is Coming Soon! 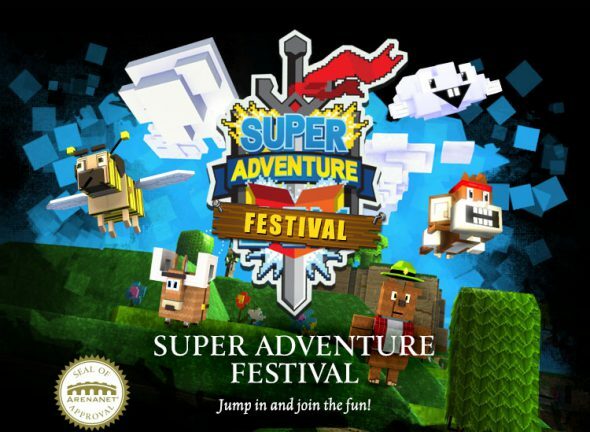 Super Adventure Festival is Coming Soon! It’s that time of year—dust off your best jumping boots, take up your pointy stick, and get ready to experience Tyria’s most cutting-edge technological edutainment system: Moto’s Super Adventure Box! Explore a whole new virtual world in beautifully-rendered, three-dimensional graphics. Go on an epic quest to save Princess Miya. Prove your strength against wizards, assassins, and giant frogs. And if all of that sounds a little too tame for you, prepare to die (repeatedly) in the punishing Tribulation Mode! 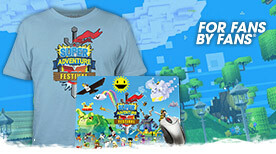 This year’s Super Adventure Festival begins on March 30, and ends on April 20. 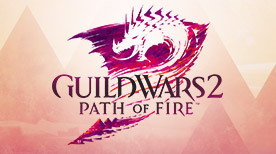 Don’t forget to check out the official Guild Wars 2 merchandise store for Super Adventure Festival t-shirts and mousepads from WeLoveFine!